One of the advantages of getting out into the park early is the chance to see the night sky. 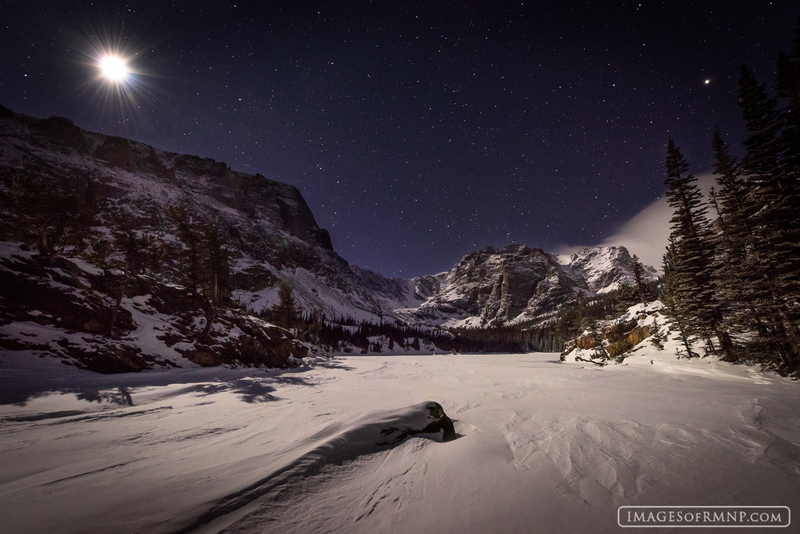 As you can see in this photo, the moon was out when I shot this providing plenty of light for the snowy landscape. There is something magical about the Loch, especially in the winter. I just can't get enough of this place. Photo © copyright by Erik Stensland.